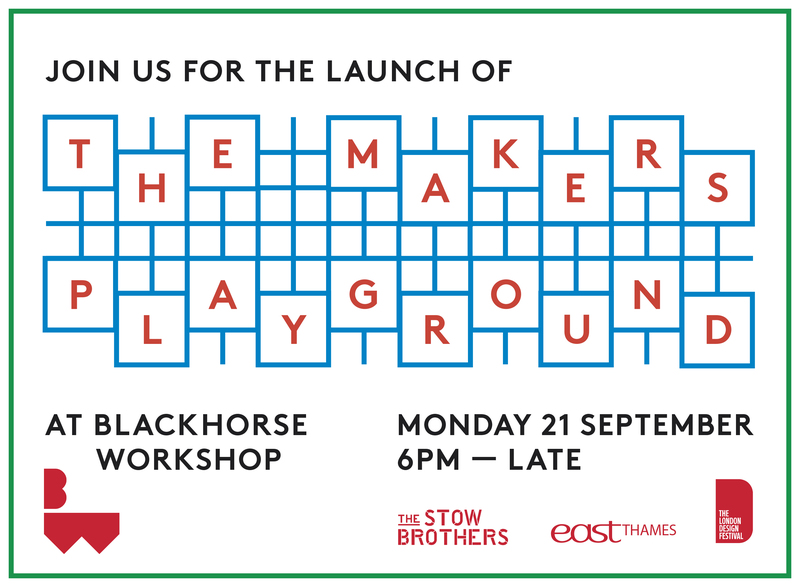 The Makers Playground will be taking over Blackhorse Workshop for one week, providing London Design Festival with the antidote to all things too serious. Over 30 artists, studios, workshops and makers will take part proposing objects, participative workshops, after dark events, outdoor installations and new designs on the dance floor. The Makers Playground is being developed in collaboration with Seán & Stephen, an architectural practice, selected for their playful and theatrical design approach. "We create for the theatre of the everyday; our projects are the stage, props & backdrops around which interesting stories unfold." Further sessions will be running on Thursday 24th and Friday 25th 2-3pm. Bicycle-powered cinema screening a series of short films exploring trends in craft, recycling and the designer-maker movement, culminating in a special documentary featuring members of the Blackhorse Workshop. Blackhorse residents Osinksy Ice Cream and Left Bank Brewery pair up to explore how beer & ice creams can be designed to bring out the best in each other and introduce a little about the processes behind both. Brunch with talk by Workshop East and food provided by Wood St Coffee and Hanoi Ca Phe. 3-D Designer Nayda Florez Venizelos from R3dFox Studio gives an introduction to 3D printing and an exploration on how to bridge technology and hands-on crafting. Indigo dye specialist Katherine May from neighbouring denim studio Blackhorse Lane hosts an afternoon workshop inspired by the denim making process to build a giant swatch. Wallpaper, textile & surface designer Dan Heath Studio will be taking on the challenge of the day's theme and experimenting with screenprinting onto wooden off-cuts. - 5pm: Closing Party with DJs Record Roulette.